If we have enough moisture during the spring season, this small pond forms in Chautauqua Meadow at the base of the Boulder Flatirons each year. 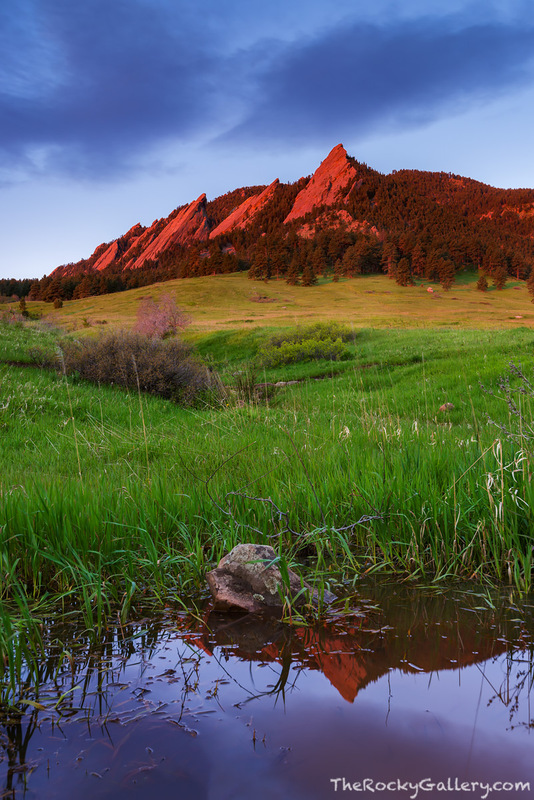 It's a small pond but it still gives a photographer a chance to capture the iconic Flatiron formation reflecting the view from Chautauqua Park. The vibrant green grasses and clouds overhead made this May morning in Chautauqua Park a beautiful one. . Photo © copyright by Thomas Mangan.